Barb Eldridge was inducted as a member of the Rotary Club of Port Fairy on 4 June 2018. Barb is well known to Club members, having been a regular guest at the weekly dinner meetings. Barb is no stranger to Rotary. 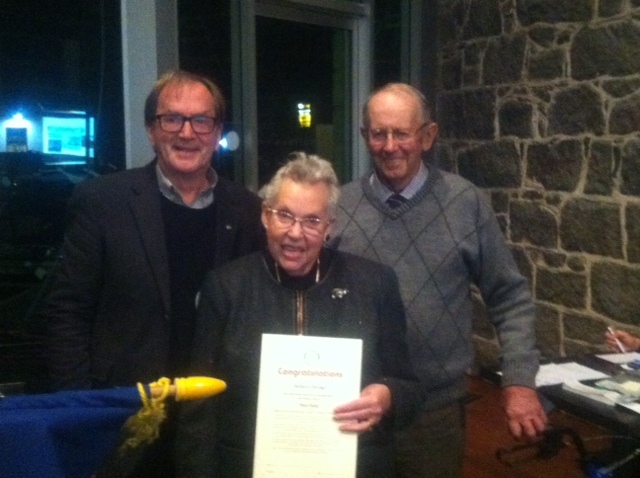 Prior to transferring to Port Fairy Rotary, she was a member of the Rotary Club of Mortlake for 20 years. New member Barb Eldridge with husband Ken and President Bill Moore. President Bill Moore welcomed Barb to Port Fairy Rotary, noting her record as a volunteer with the Club that often involved recruiting other members of the Eldridge family to contribute to the volunteer effort.